Javier Perez is an actor and dancer based in New York City and Miami. He was last seen in Eterniday with Witness Relocation at La MaMa and in the film Rock of Ages as a featured dancer. He assisted in choreography for the Rite of Spring at The Philadelphia Orchestra with The Ridge Theater Company. His proudest moment as a dancer thus far has been assisting Mia Michaels in choreography and appearing on Dancing with the Stars. He is now thrilled to be working with the esteemed Jane Comfort and Company. 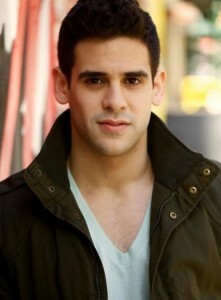 Javier is a recent graduate from New York University’s Tisch School of the Arts with a BFA in Drama.